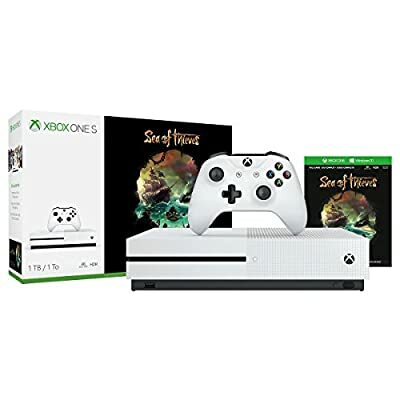 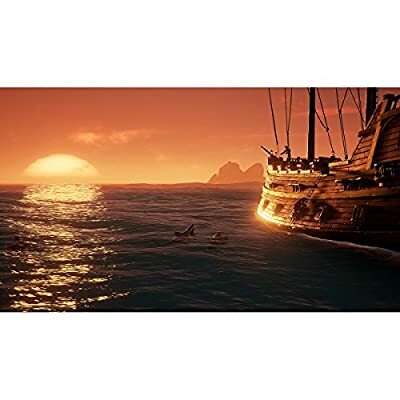 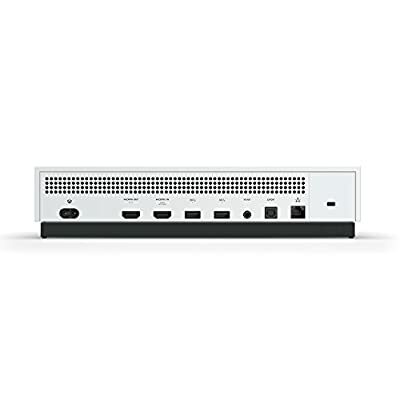 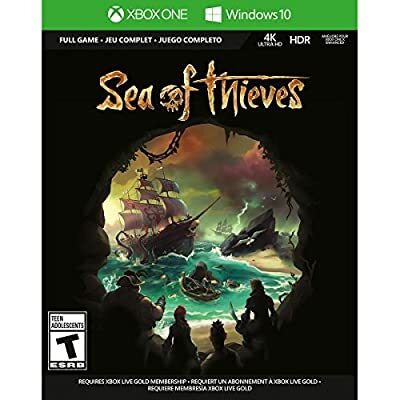 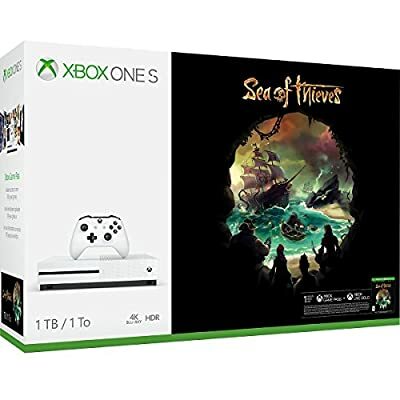 Bundle includes: Xbox One S 1TB console, wireless controller, full-game download of Sea of Thieves, 1 month Xbox Live Gold, 1 month Xbox Game Pass trial with access to over 100+ games, HDMI cable (4K Capable), and AC Power cable. 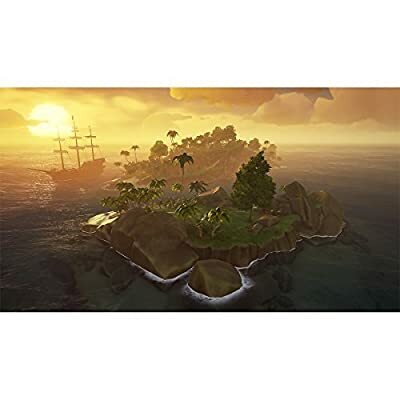 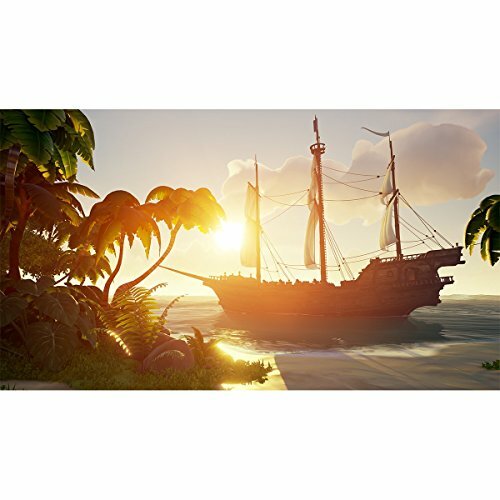 Play the ground-breaking Shared-World Adventure Game created by Rare Ltd and undertake quests, find buried treasure and plunder from rival pirates. It’s your crew versus the world. Xbox Live Gold subscription required to play on Xbox One (sold separately). 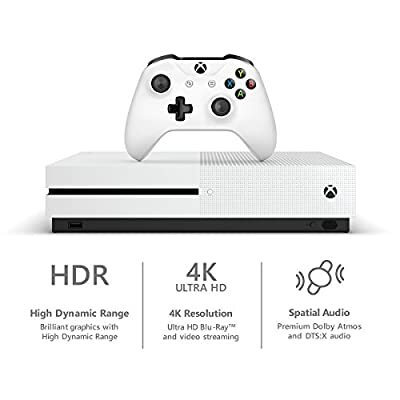 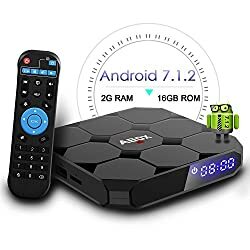 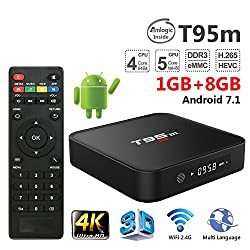 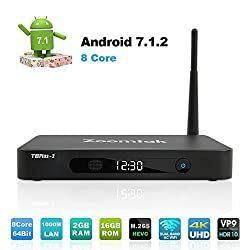 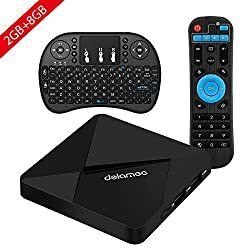 Watch 4K Blu-ray movies and stream 4K video on Netflix, hulu and experience richer, more luminous colors in games and video with high dynamic range Technology. Explore a vast Ocean where every sail on the Horizon means a ship filled with real players who may be friends or foes.